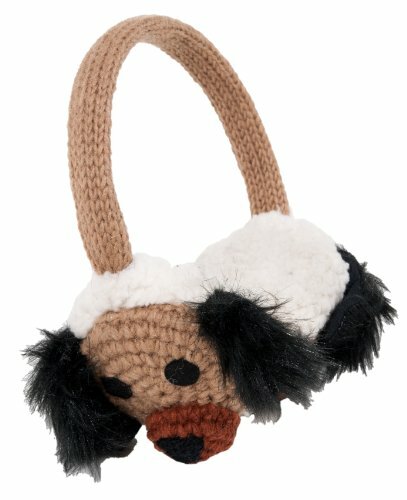 Crochet Dog earmuffs with cute face and fleece lining. Faux fur lining lends a classic winter feel to a fun pair of earmuffs. Earpieces move up and down on headband for an easy to adjust fit. Most of the items in our ICE collection are 100% wool with a soft polar-fleece lining. These items are hand-knit by women in their homes, all of whom are paid fairly for their craftsmanship and time, allowing them to take care of their families and make a living at the same time. By purchasing our items, you help support rural craftsmen and women of Nepal. Our products are handmade with love and respect for the natural resources of the Himalayas.